This entry was posted in Nature and tagged animal intelligence, Bottlenose Dolphins, Dolphin research, Dolphins, dolphins have names for each other, Dr. Tess Gridley, marine mammals, nature, signature whistles, Tess Gridley, University of Pretoria. Bookmark the permalink. They have language and culture, so names seems to stand to reason. More reason to re-classify these creatures and give them the same rights we enjoy. 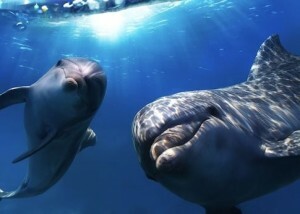 I’ve always suspected dolphins communicated in ways we did not understand; plus I think they’re far more intelligent than we give them credit for. I like larryjben’s comment that they’ll rule the world after we’re gone. After reading this, I decided to add a dolphin to the cast of animal characters in my children’s fantasy story.